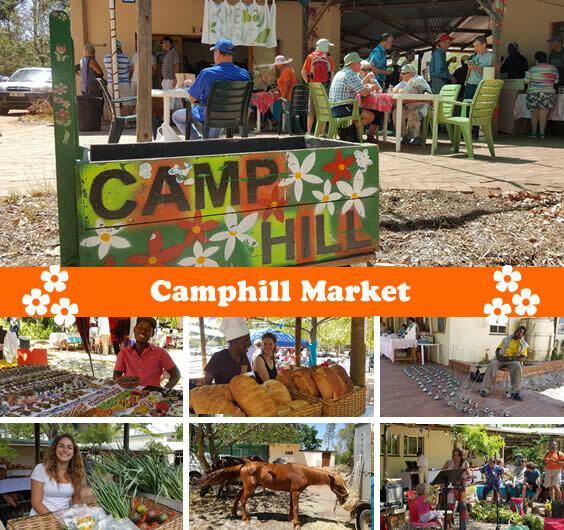 Come join us on Sunday the 5th of March for another fun filled family event at Camphill's incredible country market. 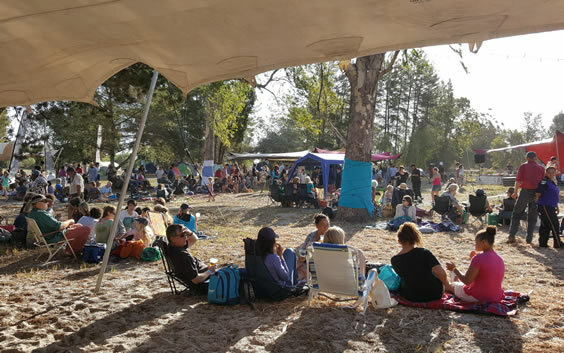 Expand your comfort zone and enjoy some great live music, amazing craft beer, fresh wholesome food, and a host of fun activities for all the family. For moms and dads we have delicious fresh produce, your favourite Camphill dairy, bakery, personal care products as well as a multitude of individual earthy clothing, jewelery, home decor and food products. For the little ones we have tractor rides, toy stalls, a playground and picnic area. Our live performance this market is the folk duet Faye and Wren, a particular favourite for regular market goers. Sunday lunch will include choices of roasted veg, with chicken breasts, goulash and savoury rice, plus there are Camphill’s own decadent baked cakes, bacon and egg rolls, pancakes, samosas and more. Remember, Camphill now offers behind the scenes tours where you have an opportunity to explore the farm and learn more about how we make our wonderful natural products. This was the third music festival at Camphill Village, and having attended them all it’s becoming clear that Camphill’s music festivals are establishing their own style and character – they are intimate, friendly and fun, welcoming people of all ages, kids, teens, twenty-somethings and all the way up, and with the residents of Camphill having a wonderful time, dancing, getting up close to the stage and really loving having their music icons visiting them. And then there’s the music itself, always a fantastic line-up of artists. The festival is now traditionally kicked off by an up and coming local talent and this year it was rapper and hip hop musician Mad-A-CPT, who warmed up the crowd. Next up was Majozi, who has established himself in the last year as one to watch and going by his stage presence, great music and easy rapport with the crowd is set to become an international hit any time soon. He thrilled his fans by crossing the border of flowers on the stage and bringing the microphone up close to the audience to join in the chorus. Albert Frost with his mesmerizing guitar mastery and fabulous blues was next, playing three different guitars and really wowing us all. By this time the sun was down, fairy lights were strung between trees and we were dancing to keep warm as a cool breeze shrugged off the summer heat of the previous week. When the Bootleggers took to the stage, with the warm and wonderful Marguerita Freeks at the microphone they got everyone up and dancing and singing along in to a string of rocking blues classics. 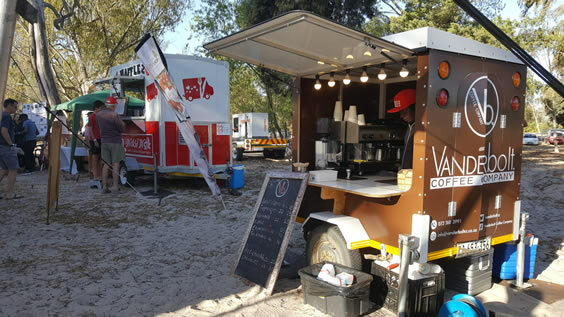 In between sets, we warmed up with hot chocolate and coffee, with burritos, burgers and boerewors rolls from the food vendors or patronised the bar tent where the young-co-workers did a fabulous job serving up a storm. Then Freshlyground electrified the stage, as energetic and heart-warming as we remembered from our first Camphill festival, drawing the whole crowd up to the stage as they played old favourites and also treated us to a sneak preview of some of the new material they’d been working on. Their magic never fades and Zolani had us all doing a vigorous rain dance, let’s hope it works! 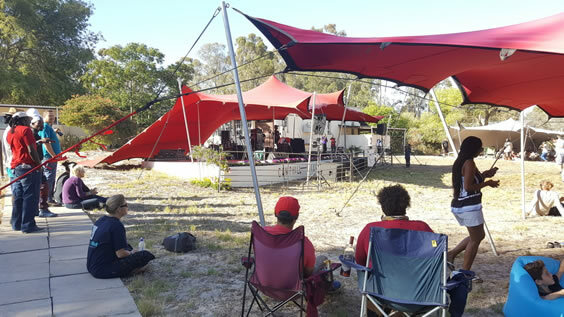 Finally, young indie band from Paarl, Jackal and the Wind, came on stage for the last live act of the festival and kept the vibe going a while longer, before we packed up and left the festival campers to enjoy a last spot of dancing to the DJ. Thank you Camphill Village for another fabulous festival, so great having music of this caliber playing practically in our backyard! Our Music Festival has become one of the highlights of our year. This one went off brilliantly, thanks to the effort of all the staff and young volunteers at Camphill, who really put in a huge effort to make it a success. 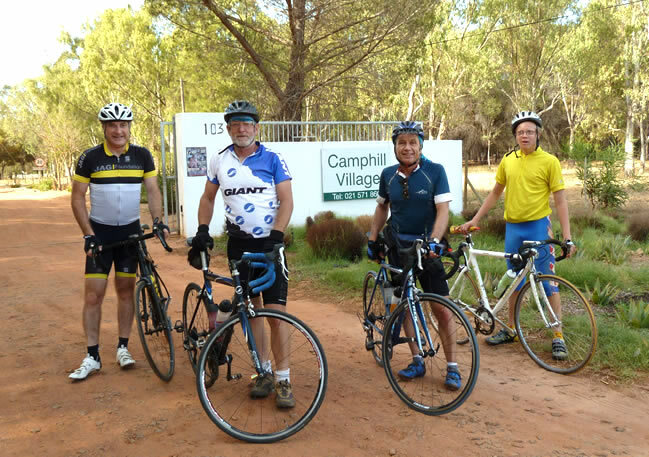 The first was cycling to the event from Cape Town. 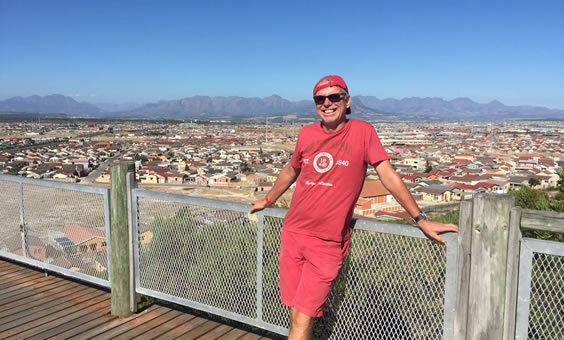 A group of us did a test cycle, and found a very pleasant route from Cape Town, and on the day, some people cycled to the festival. We hope to grow this into a Sunday ride to our monthly markets. It is a 60km flat ride, along the coast and through farmlands, and anyone who would like to join in on the Sunday rides is welcome to contact me. 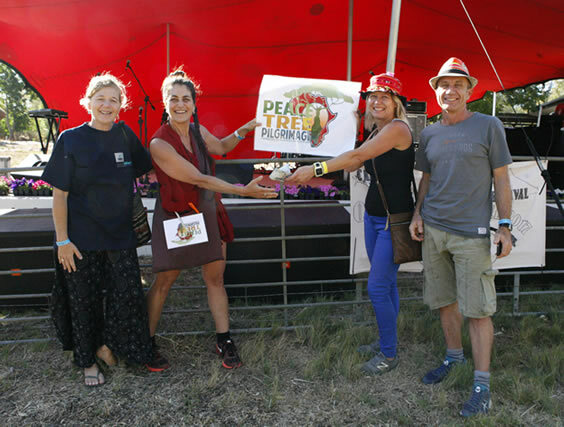 The other initiative, was that representatives from Peace Tree Pilgrimage planted trees around our festival area. 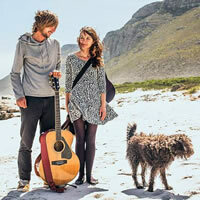 They had planned to walk from Cape Town, but time did not permit. 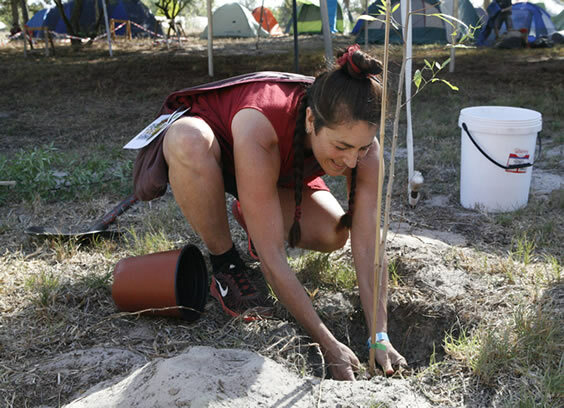 Next year, a large group plan to walk out to our festival and plant many more trees. 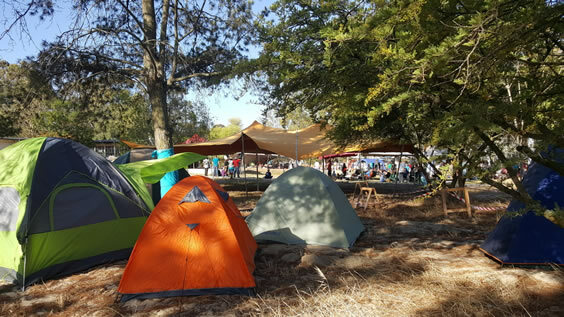 So here we find ourselves in the aftermath of the Off The Grid festival, exhausted yet satisfied. We did it! Camphill Village West Coast community pulled together and put on a fantastic event. Such great feedback from all! We are grateful for the much needed funds raised, for the awareness created in the many publications, radio interviews and TV exposure for the work we do in providing a safe, normal life, home and workplace for intellectually challenged adults. 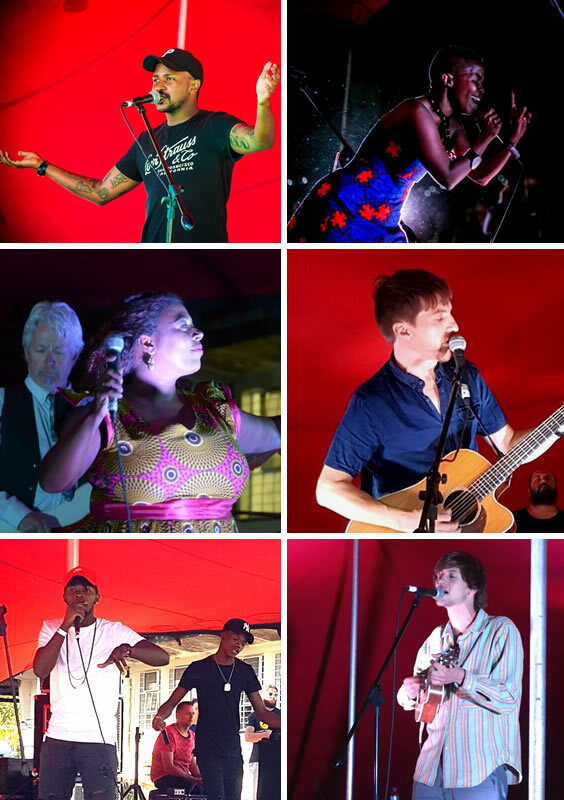 But most of all we’re grateful for the joy and happiness this event brought to our residents, for this opportunity to have their own festival, interacting with people from all over and with the celebrities performing. This is what makes it all worthwhile. We could not have done this without our community and our sponsors. Putting together a festival on a shoe-string budget is no easy task, but every cent saved is a cent going towards residents without family or financial means. This enables us to give these residents the possibility to live a meaningful, safe, happy life. 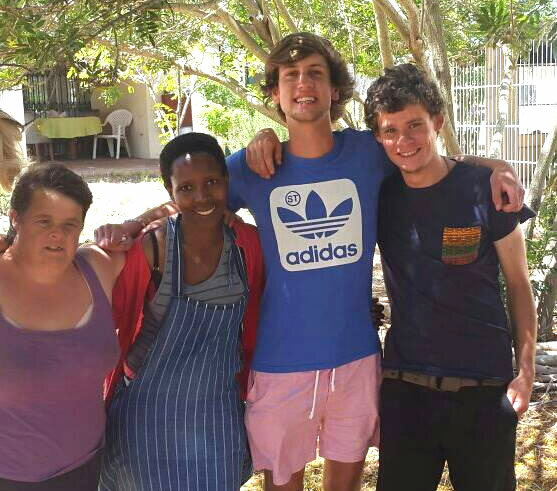 So a HUGE shout out to the following who have assisted by volunteering hours of their time, their infrastructure, resources and financial contributions: The Molteno Trust, Caitlin and Sune from Red Hot Events, Tentation, Cape Skips, LK Media, Urbanescence, Pierre from SAB, Klein Dassenberg Neighbourhood Watch, Paige Fiddes Photography, Rene Maritz Photography. The wonderful support from people attending the event, the artists playing their hearts out, DJ, MC, the random people who have come and volunteered their expertise on the day, we will be in contact. Such blessings coming our way, this has been a great experience and we thank all. We started 2017 with a deep inward look at ourselves as an organisation. This process was facilitated by Udo Stauber, an HR and organisational development specialist from Germany, who donated a month of his time, and spent time with each member of staff, to gauge where we are as an organisation. This has created a platform from which we can now develop our internal process going forward. We are very grateful to Udo, for the sensitive way in which he held this process, and to Rays of Hope, for being the conduit through which Udo came to us. The week before Off The Grid we enjoyed a visit from Chris, lead singer of Jackal and the Wind who played at our Off the Grid Music Festival. He visited our different enterprises, interacted with our residents he then joined some of our residents for lunch and tried out our outdoor stage. This is what Chris said of his visit "It was delightful. I met some very interesting and beautiful people here. I love this place. I’m definitely going to come here a little bit more often and I’m looking forward to playing here on Saturday 25th Feb!" 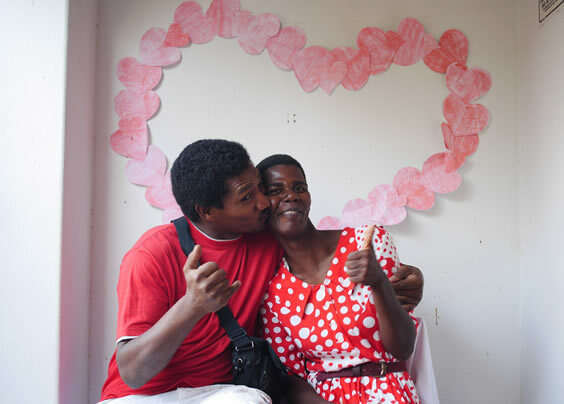 Love was in the air as we enjoyed another year’s Valentine's Day party. The young co-workers set up a beautiful space in the community room foyer and decorated it with red hearts, signs, and even a photo booth! The residents danced for hours, socialized and enjoyed tasty treats that various houses prepared. It was a wonderful, romantic evening and everyone was sad when it came to an end.